A Traditional layout with a gas free combination hob and heater option. The Classic is available on a VW T6 or Transit Custom with 3 roof heights, 3 variants and 5 engine options. 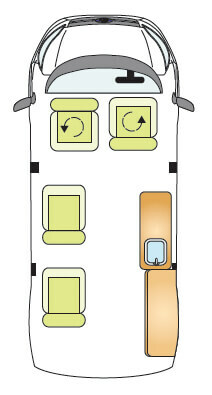 The M1 tested double seat/Bed Uniquely reclines, or can be set as a day bed, rear storage is optimised with a horizontal or vertically stowed rear bed leaf and habitation space is equally generous . 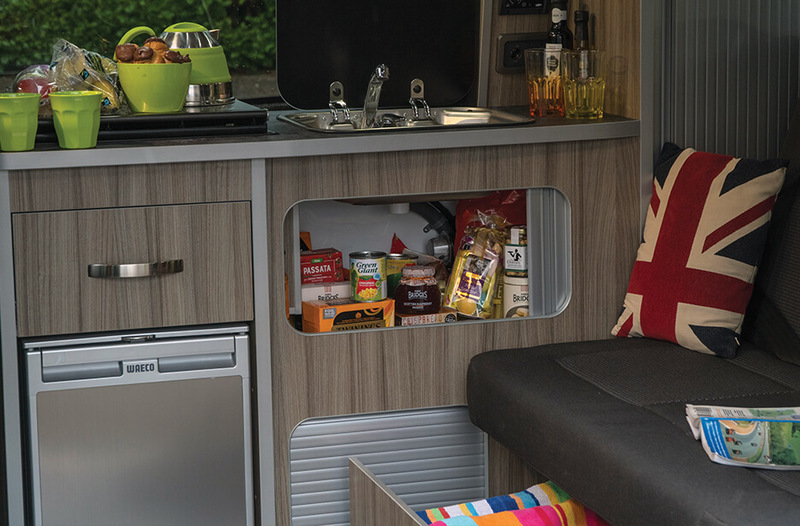 The Leisure Van is similar to the Classic, however it has evolved to include twin side sliding doors that exploit the inside/outside kitchen. 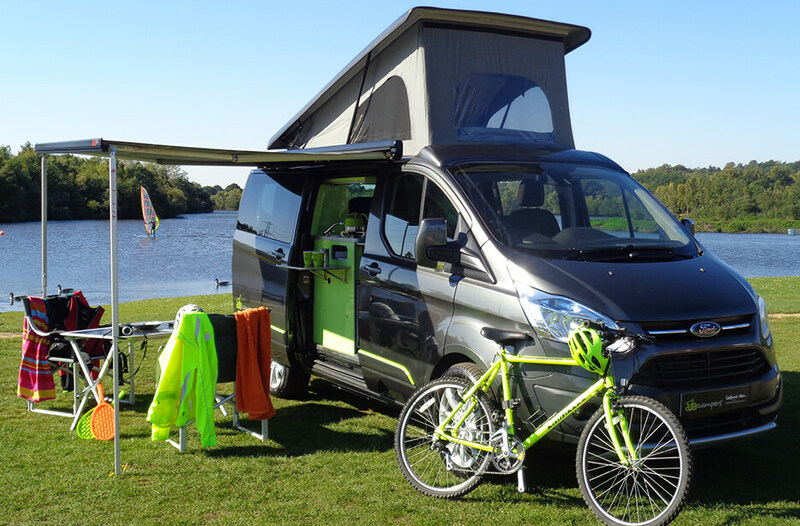 Add a cassette awning on one side for a sheltered social hub and add a drive-a-way awning to the other side for additional berths or storage on your longer road trips! In addition the unique use of a drawer fridge and swivel driver seat provide ample leg room. 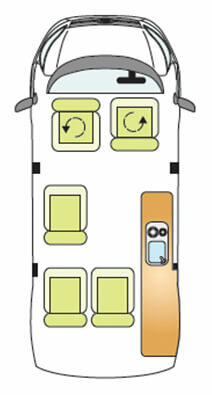 The MRV’s unique suspended, multi height bed system is the key element behind the award winning design. 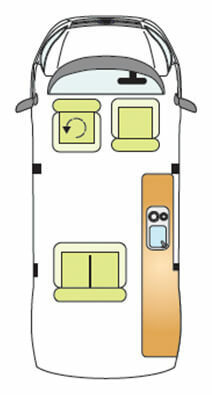 Configure the MRV with an optional M1 tested 4 rail floor system to simply clip in additional single travel seats. 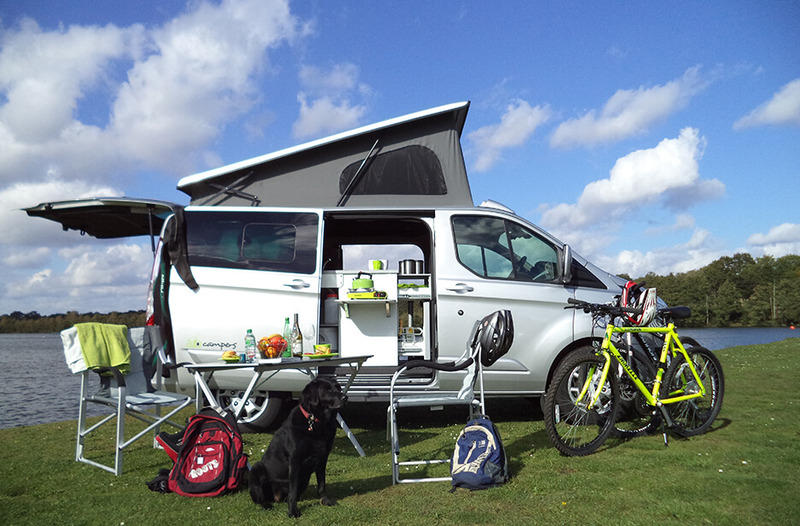 Ideal for dog owners, families or anyone needing a flexible every day vehicle with huge storage. 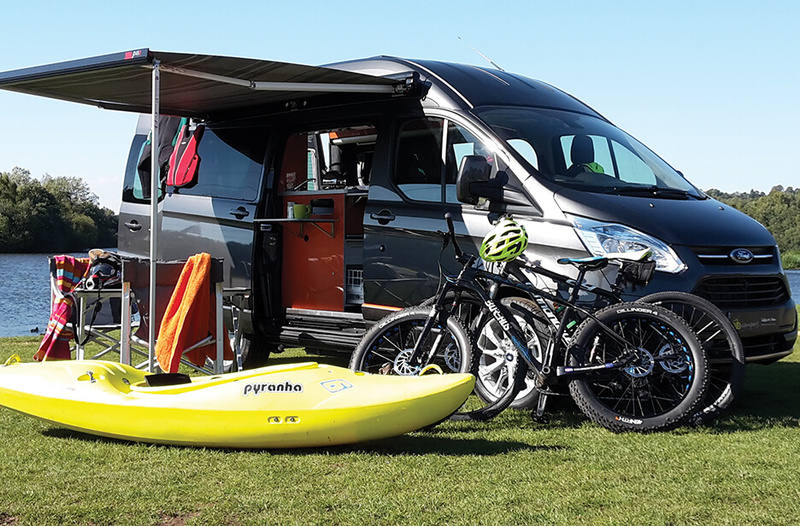 The Day Van “Tourneo” is a true crossover luxury daily drive or a Camper. Based on the 8 seat Tourneo Custom. Ford’s fold flat seats afford you the ultimate comfort. Auto Campers buy back unrequired seats and allow you to configure a Camper from removable modular options to enhance your lifestyle.